The years of work on the creation of a beautiful world with the Virtual Reality has today brought a new thought to our mind where amazing stuff can be created for viewers. The market is now flooded with high quality and customized headsets that users can buy at affordable price range and lots of mobile phone powered VR options are also available so that you need not to disturb your budget to get VR gadgets rather it will work perfectly on your already existing mobile phone. Presently, almost all platforms are working fine with high quality content as like short films, video games and lots of immersive experiences. The only one thing that is still keeping users away from 360-degree world’s wonders is the cost variation to steam live footage of VR content. 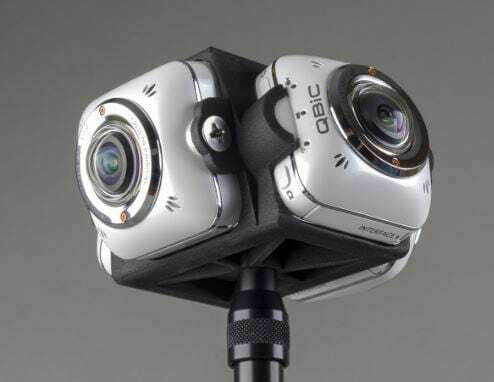 Actually, if you are really interested to step ahead into the world of 360 videos then it is important to come at right place and start with proper accessories as well as gadgets. 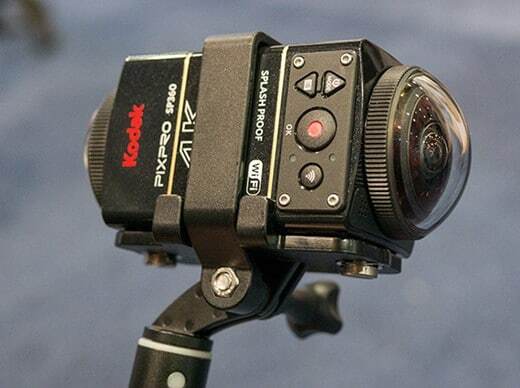 The freedom 360-degree mount allows users to join almost 6 Hero cameras that allows 360-degree video shooting. All captured content can be stitched together to create full spherical video. Its original geometry allows users ability to hold rig in any possible direction without creating any blind spot during shooting. It has powerful ability to capture everything that is present surrounding rig and you can control its movements with the help of a Wi-Fi remote. Pros: It results awesome video quality. The workflow of 360RIZE is same as that of all other video creation processes and it also allows easy stitching of captured content to develop amazing spherical stuff. It comes with specialized color processing abilities and graphic overlays to create better outcome. Pros: Lots of holders are available for specific applications that support spherical video stuff. Cons: The stitching process here required both video stitching and photo stitching software. Everything is possible with latest iZugar rig as it comes with wider lens arrangements that have better focus on all directions leading to much better spherical content. You need to connect only 2 GoPro cameras with it to capture complete scene in all directions due to its ability to capture with wider angles. Pros: Less camera arrangement required so stitching also becomes easier. Cons: Additional assembly is needed to have better focus. 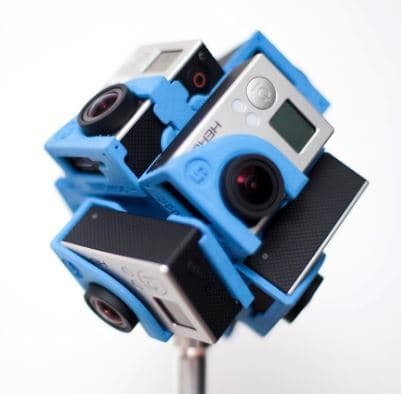 Entaniya is believed to work on simplification of process to create 360 videos with its compatible GoPro cameras. The three associated fisheye lenses allows to focus over 220, 250 and 280 degrees with horizontal angles. 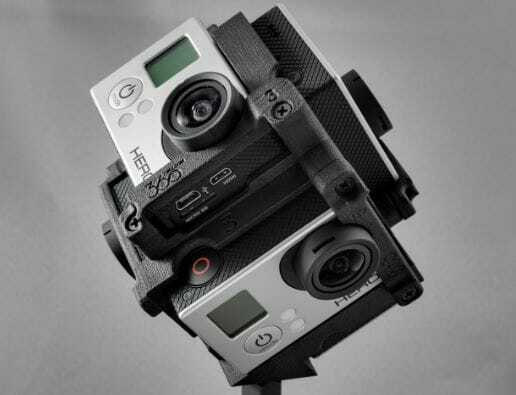 If you don’t want to stitch the captured videos then it is also possible to use it with one 280 cam rig. Pros: Allows focus on ultra wide type angles. Here is a latest rig design for VR content that can serve with 3 to 10 cameras connected per rig. It is one of the best solutions for the creation of stunning VR content that is essential for broadcasters, cinematographers, production companies as well as internet companies. The price range is much higher that goes up to $9000 to $55000 for the complete package which also contains all required accessories and applications. Pros: Cameras come with custom design that results amazing VR content. Cons: Cost is the big trouble. 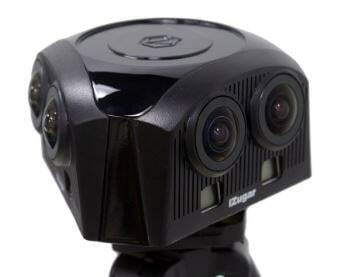 This Pack is simply a wonderful advancement over original 360 video quality as it comes with single camera unit that don’t even demand efforts for stitching. 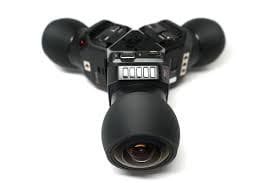 The available dual pro type camera pack allows users to design VR content using specialized software that is much easier to use. Pros: Videos can be directly uploaded to Facebook and YouTube. Cons: Price is very high, and it suits to professionals only. Here is a low cost solution for your 360-degree video recording needs and the best thing to know is that it is compatible with post production as well as live streaming where resolution goes up to 4K. 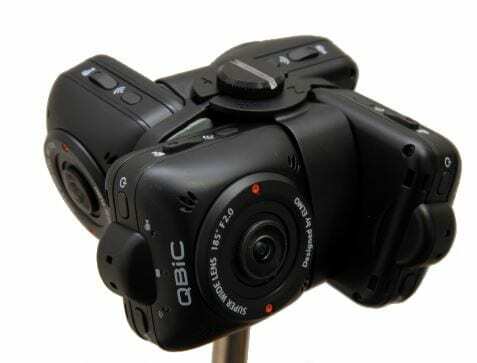 It works with four QBiC MS XP Cameras that have wider focus and are able to record vertical portion with 180-degree ability and horizontal part with complete 360-degree view. Pros: An attractive piece for real time usage that serves with amazing video quality. Cons: The cost involved is more. This rig is designed with highly customized features and its four cameras use to capture videos with high quality that are later stitched by using special software tools. It stores content from camera to four different MicroSD cards and the cameras are required to be turned on and off one by one. It results high resolution type VR content that can be viewed on video player over your computer screen, i-devices as well as on Android mobiles. Pros: Easy to use and customized design. Cons: Needs 4 different MicroSD Cards for storage and you have to make efforts for stitching too. The latest 3D printer technology has revolutionized world with amazing results. If you are not ready to spend huge money on available gears then it is also possible to create your own customized rig using 3D printer. 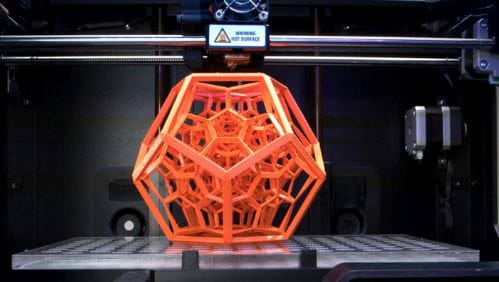 So many designs are possible with 3D printing technology and they are suitable for professionals as well as beginners; also it is an affordable solution as compared to already designed costly products. It takes very less time to design a VR content supporting rig and you can create it with wider angle abilities so that fewer cameras are needed during recording and stitching task becomes easier.